As the mobile world shifted to smartphones and touch screens, Nokia simply couldn’t keep up. The Finnish manufacturer who was the mobile king before we started to use touch screens, simply faded into oblivion. It was then bought by Microsoft, with Redmond looking to leverage the Nokia brand to sell its own Windows 10 smartphones. After even that failed, Nokia is now owned by HMD global, whose approach with the company seems to be working out. 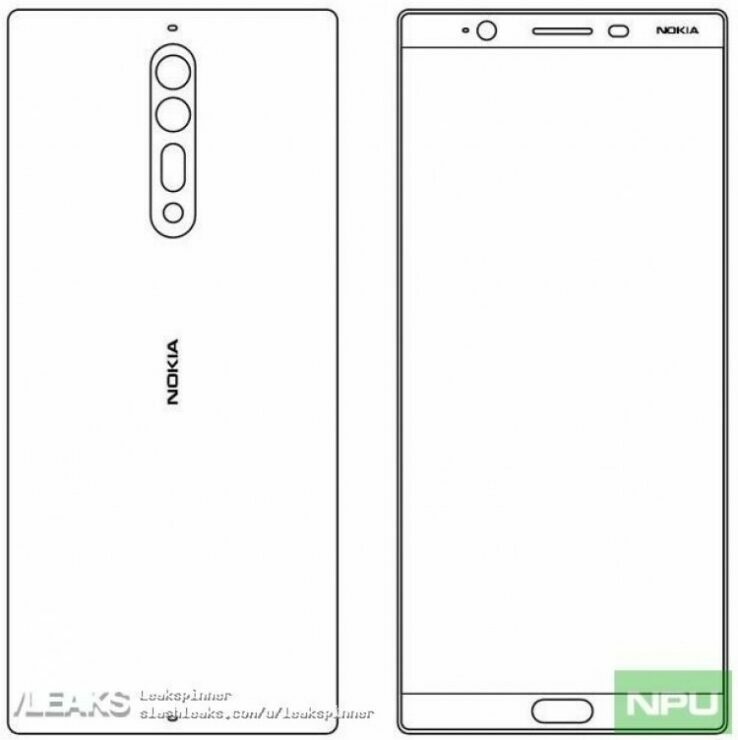 Today, we’ve got two alleged schematics for you – for the Nokia 8 and the Nokia 9. Take a look below for more. 2017 is the year for bezel free smartphones. With 16:9 aspect ratios for the LG G6 and the Galaxy S8, pretty soon, the only thing on a smartphone’s front will be the display. Nobody likes to look at extra materials when using their devices and manufacturers know it. In addition to Samsung and LG, similar details have also surfaced for the iPhone 8. Apple will also use a minimum bezel approach, combined with an alleged virtual fingerprint scanner for the device. 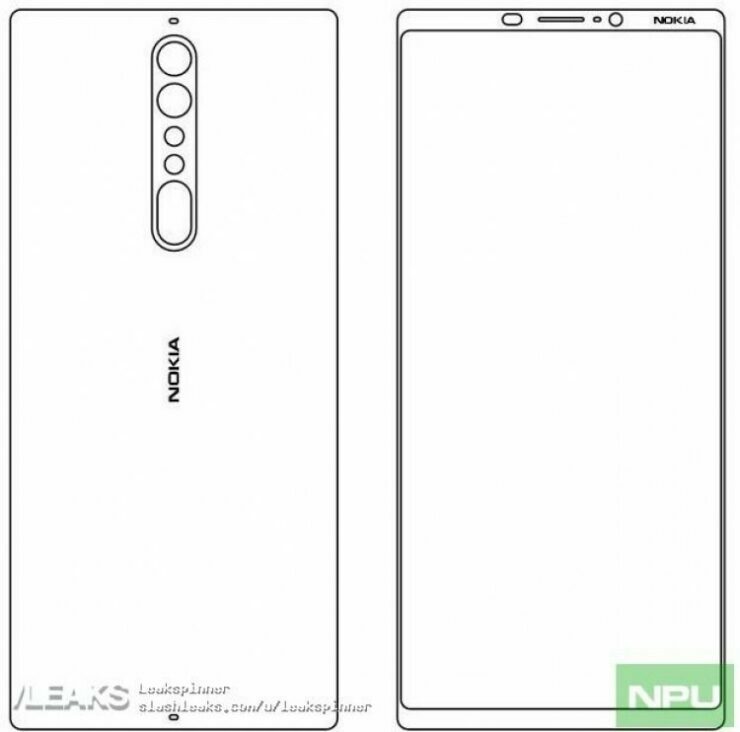 Taking a look at the images above, it’s clear that the Nokia 9 will be premium smartphone form the company this year. It’s got all the features that you’d expect from the device, in design terms. The device has virtually zero bezels for its sides. Its top and bottom bezels are also minimum and there might be an Iris scanner for you there as well. The fingerprint sensor for the device is shifted to its rear. It’s placed beneath the rear camera sensor. For the Nokia 8, the device is pictured with a much more traditional look. Traditional in the sense that it’ll feature a fingerprint sensor at the front and will not be equipped with an Iris scanner. You will however, get a dual camera at the back. Multiple camera sensors are becoming the norm these days after all. There’s little information when Nokia and HMD will launch the Nokia 8 and Nokia 9. Till then, take this information with the usual grain of salt and let us know what you think in the comment section below. We’ll keep you updated on the latest.